Whether you like the outcome or not, the recent US Election result – and the vote for Brexit before it – shows that people both in America and the UK want change. The fact is people are inclined to prefer continuity and the status quo, rather than change and uncertainty. But people look for what they believe is best for them, and in the current climate of dissatisfaction and anxiety many millions of people on both sides of the Atlantic that has meant voting for change. Without getting into the politics of leave or remain, or Hillary or Trump, what we must remember is we are lucky to live in democracies where we are able to make our voices heard. All over the world there are those who can’t express their thoughts without being punished. So whatever your opinion is, remember that although change can be uncomfortable and can create uncertainty, it is sometimes necessary and will always create new opportunities. Let’s remember how lucky we are and appreciate what we have and those we love. 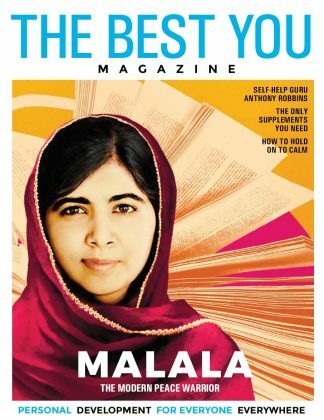 The main features in this issue of the magazine reflect on feelings of gratitude, making your voice heard, and making the most of every chance you get. 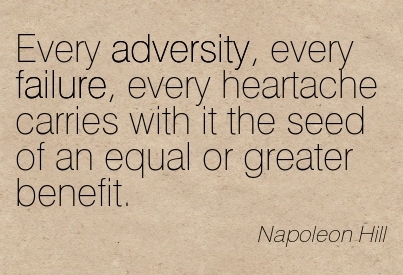 I’ll end on a quote: ‘Every adversity, every failure, every heartache carries with it the seed of an equal or greater benefit,’ Napoleon Hill.